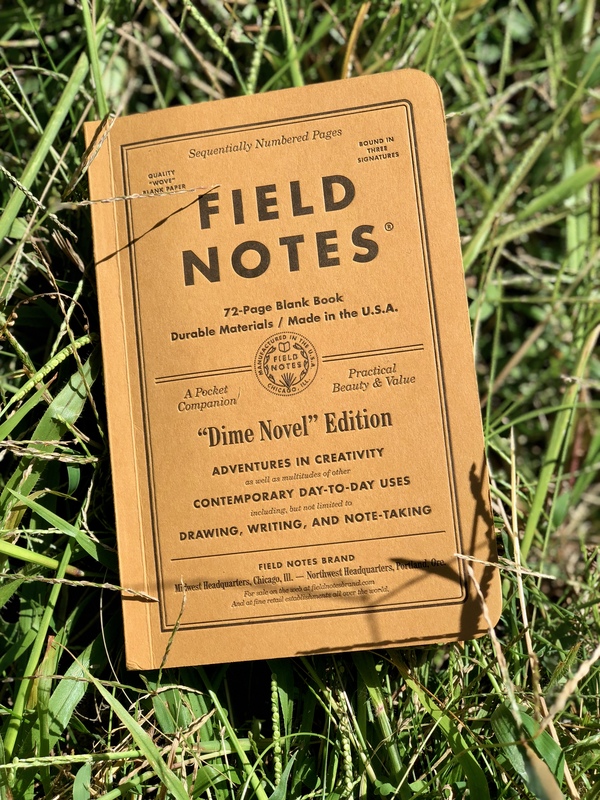 Warning, if you don’t want the new, mysterious Field Notes edition spoiled for you, don’t want this video. If you do, then, ONWARD! There are a few more observations I’ve had, after looking at the Field Notes for a bit longer. 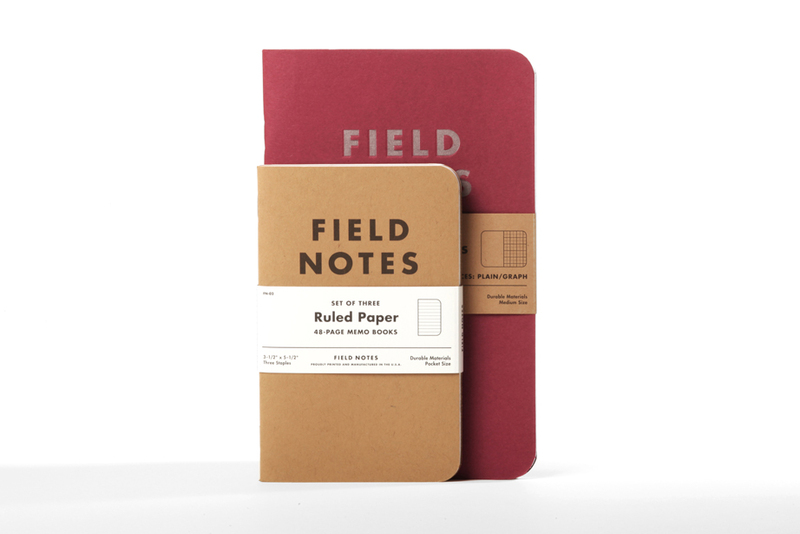 The first is that I think this is the first time Field Notes has had a registered trademark symbol (®) next to the Futura’d “FIELD NOTES” mark on the front. 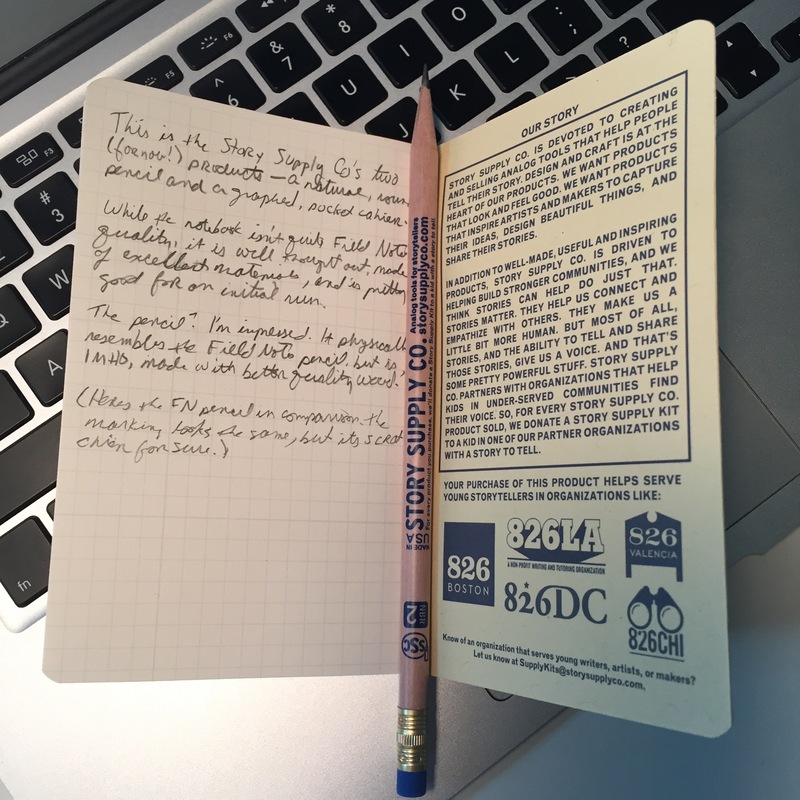 That bums me out a bit, partly because, well, it means that some lawyers got ahold of it, but also because it’s moving one more step away from the original intent of a pocket notebook like this. It’s more of a brand now. I completely understand why they did it, and if this was my product, I’d probably do it too. They’re all very bright, made from flourescent soy-based inks printed on a white 100# silky paper. The inside color is the inverse of the outside. One of my favorite things about it is that it resurrects the paper used in the “Night Sky” edition — a 50# bright white paper with a light grey application of their “reticle” graph — basically, it’s a dot grid, but instead of dots, they’re little “+”s. Here’s a Night Sky Field Notes I’m in the middle of, and its “reticle graph” paper. This paper is identical to what the Unexposed edition uses. And then when they announced the name of the edition, “Unexposed,” I naturally thought about photography. After all, this is a very “art school” photograph, and it’s almost like a pinhole camera. They said the edition was sealed in an opaque paper, so I was hoping that the cover was photosensitive — maybe they changed color when opened and exposed to light. That would have been so cool, wouldn’t it? Okay, bear with me here, because I’m going to wayy overthink something. A friend and I had an interesting discussion about this edition on Facebook. 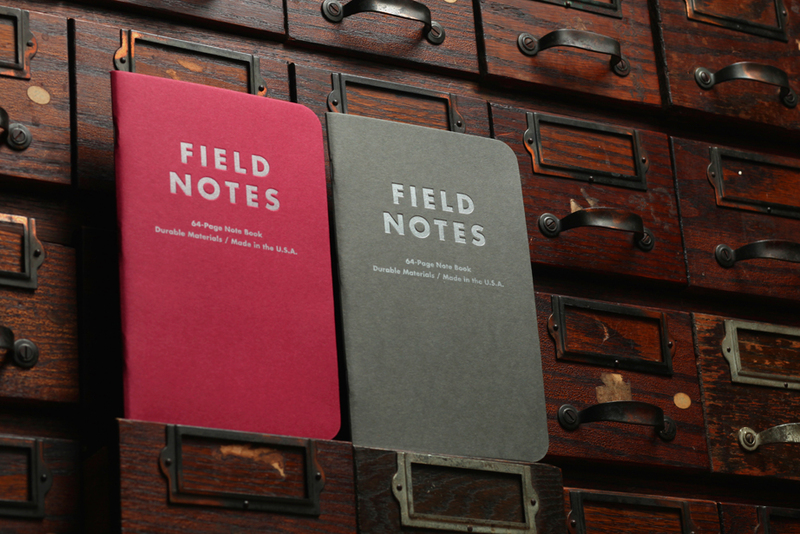 When Field Notes announced it earlier this week, they didn’t give away any details of each notebook. But they did say that each three-pack will be sealed with an opaque paper, and the colors in each three-pack will be chosen at random. That’s right: no one will know which three of the six colors are contained therein — only by opening it (and thus devaluing the set), will they know if they have all the colors. This sets up a conundrum: Do collectors keep them sealed, maintaining maximum value, or do they open them, and trade until they have all the colors? I theorized that this is an anti-collector’s edition: that Coudal and Draplin are trolling the collectors by introducing this conflict into their acquiring. My friend brought up an interesting counterpoint, however, and rightfully so — that in fact, this is the ultimate collector’s edition, and because collectors will be tempted to open the sealed packs, the number of the sealed pack will seriously lessen over time. This would create a meta-collectability — that eventually, those who don’t care about the colors, but care only about the sealed notebook packs, would pay top-dollar. For those collectors, the unknown factor of what colors are inside is a bit thrilling — the colors are unknown, for as long as they are in that meta-collection, they cannot be known. Erwin Schrödinger might say that the colors on the notebook both exist and do not exist. Regardless, these notebooks are a joy to look at, to touch, and eventually, to use (I have a Night Sky to work through, first). I’ve been spending a LOT of time thinking about paper, folks. But sadly very little time actually writing about it. 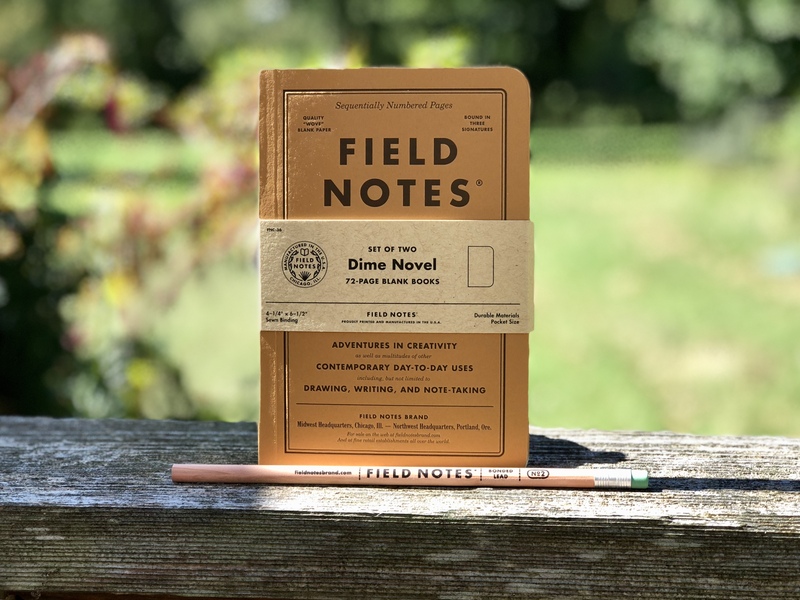 It seems like no matter how many different brands I try out, Field Notes always takes the lead. Whether that’s because of their gigantic fanbase or because of their creative limited edition notebooks, I don’t know, but my papery rabbit holes always seem to lead back there. 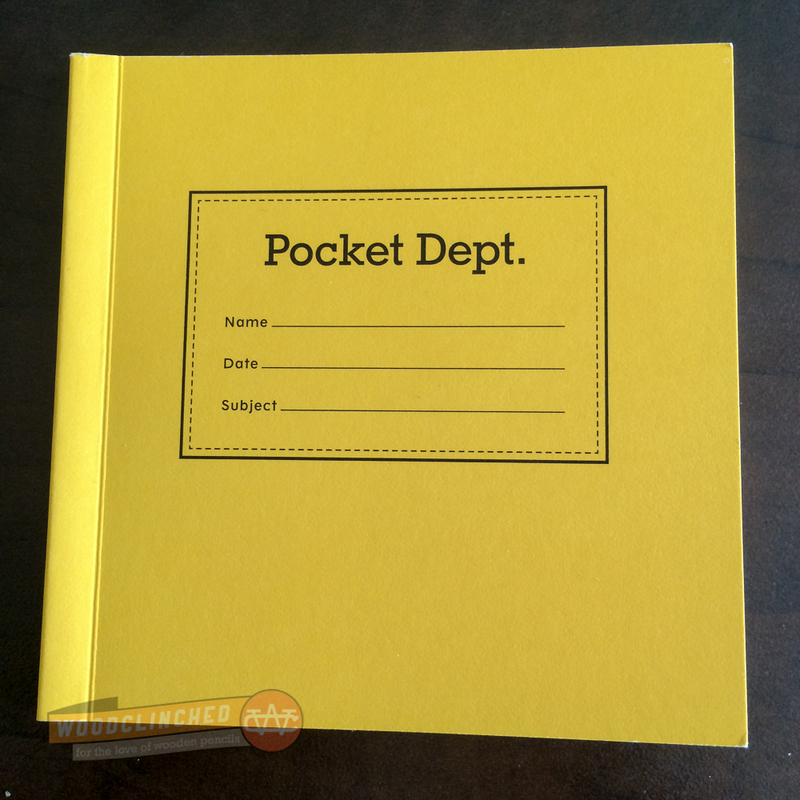 Pocket Department is a line of sturdy notebooks inspired by vintage stationery and designed to fit every pocket: back pocket, shirt pocket, backpack, and messenger bag. 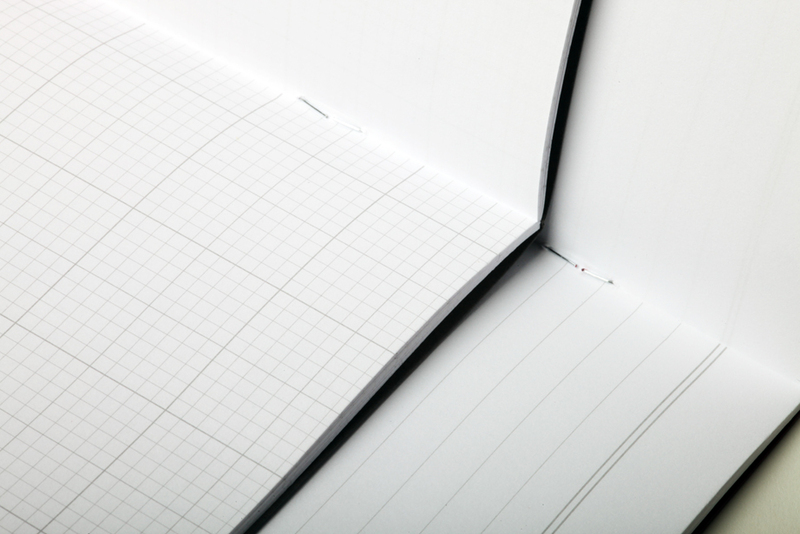 These custom-tailored notebooks are ideal for capturing ideas, composing thoughts, making lists, or sketching on the go. 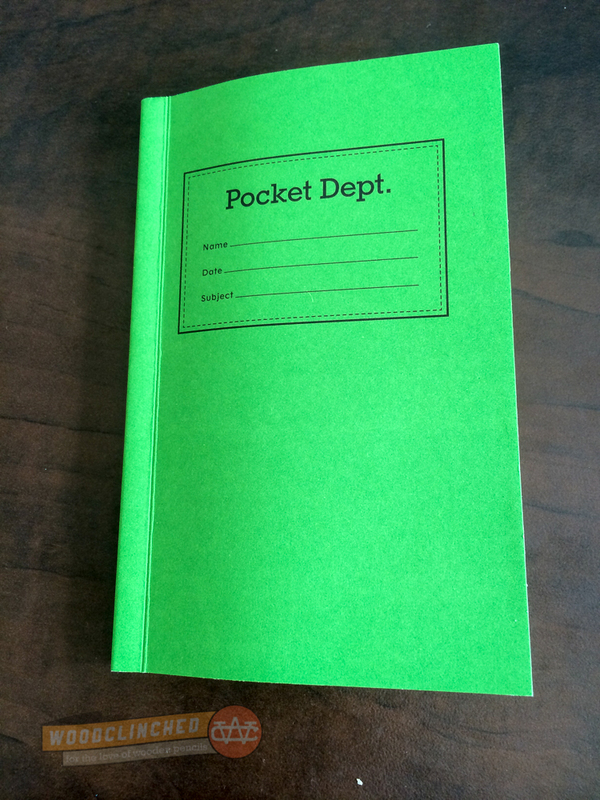 JetPens, a fantastic online shop with pens, pencils and paper galore, was kind enough to send me a couple varieties of the Pocket Department notebooks they stock: The Shirt Pocket notebook, in green, and The Back Pocket in yellow. I really like the design: the color, the simple font choice on the front and the plainness of the inside. 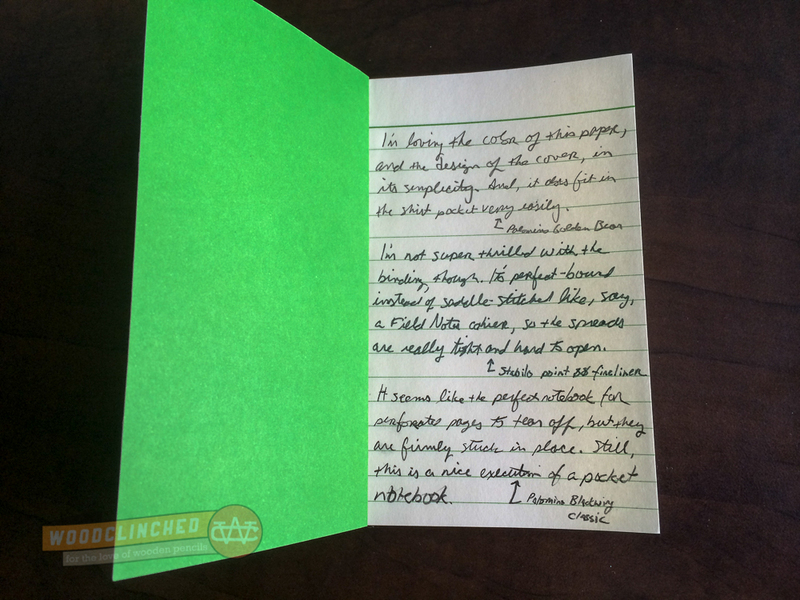 I love that the lines on the paper match the green cover, and the paper itself is smooth. 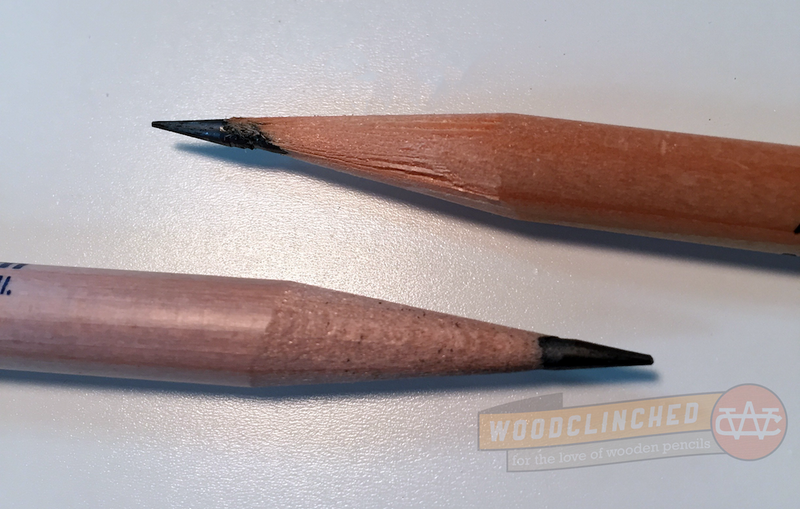 It takes anything from a pencil to a felt-tip fine liner perfectly (I didn’t try it with a fountain pen, I’m afraid). I have to admit, I’m not a huge fan of the binding. Instead of a saddle stitch like so many pocket notebooks do, they opted instead to make it perfect-bound. That results in a much cleaner spine and keeps it closed flat, but when you’re trying to write it in, it’s very tight and hard to hold open. 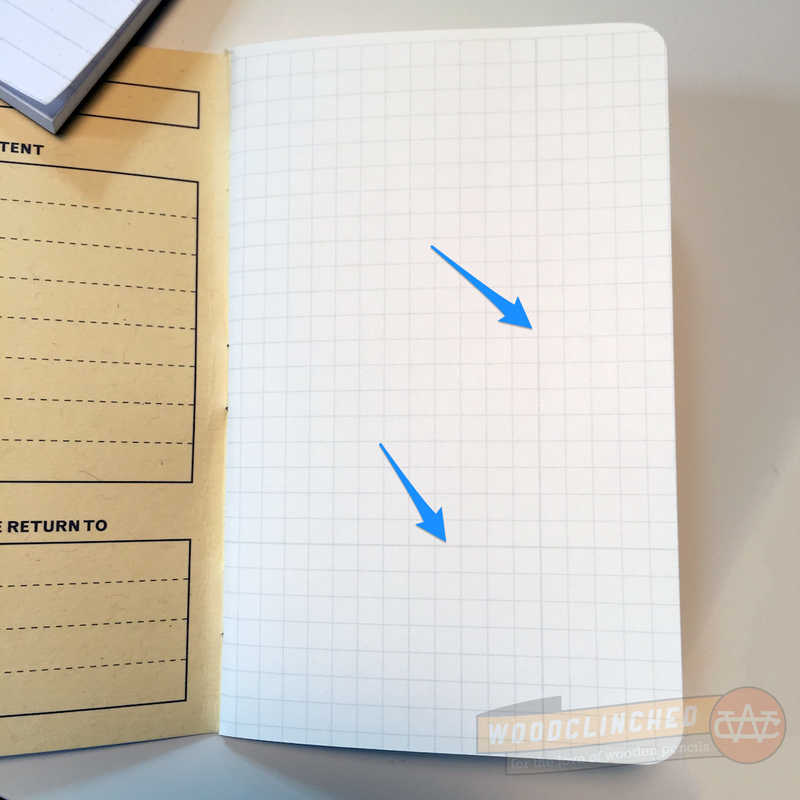 It seems like it’d be a great format to offer something Field Notes, Word., and other pocket notebook stationers don’t: perforated pages. I’d love to use this thing to scribble a note, and then tear out for later. Alas, it’s definitely not a perforated book. 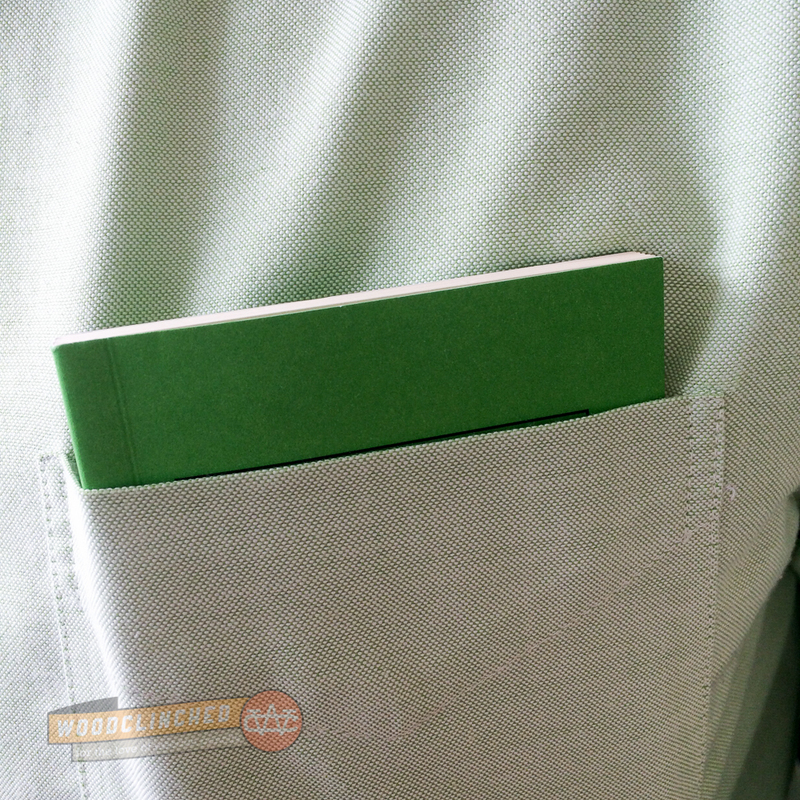 The Shirt Pocket notebook is available in a pack of three for $12.50 at JetPens. This was a fun one to review! 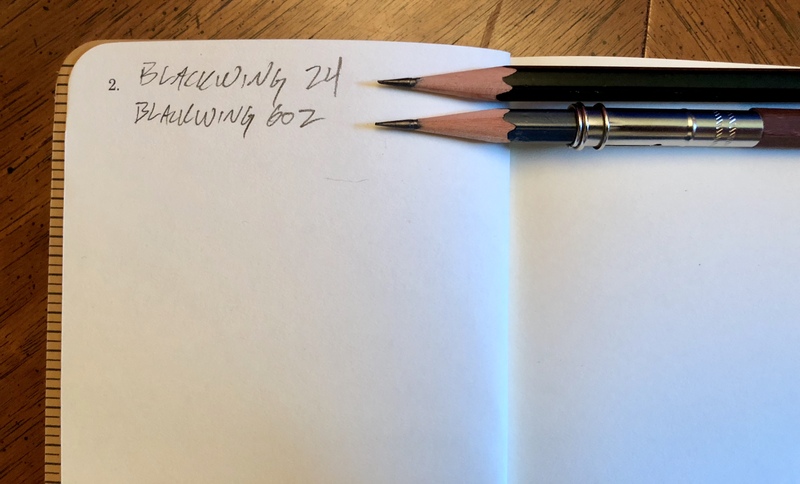 At 4” x 4”, this perfectly square notebook is unlined, perfect for quick visual notes, a sketch, or just for writing words that can’t be contstrained to lines. 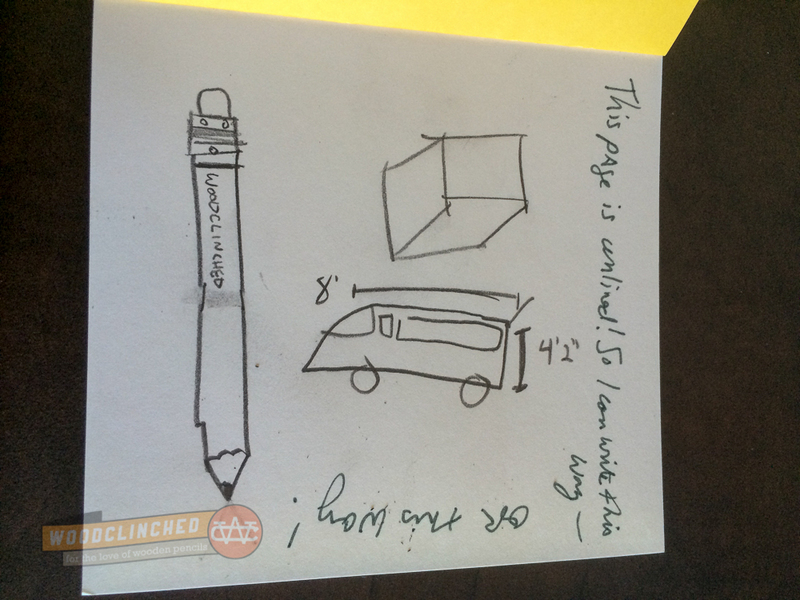 Oh, just so you know, I am the WORST at drawing. I should have given this to a more artistic friend to try out. It has the same binding as the green notebook, but the size made all the difference — because there was more width to each page, it was much easier to hold open. I also appreciate the size in that I can flip the page up, like a reporter’s notepad, if I wanted to. 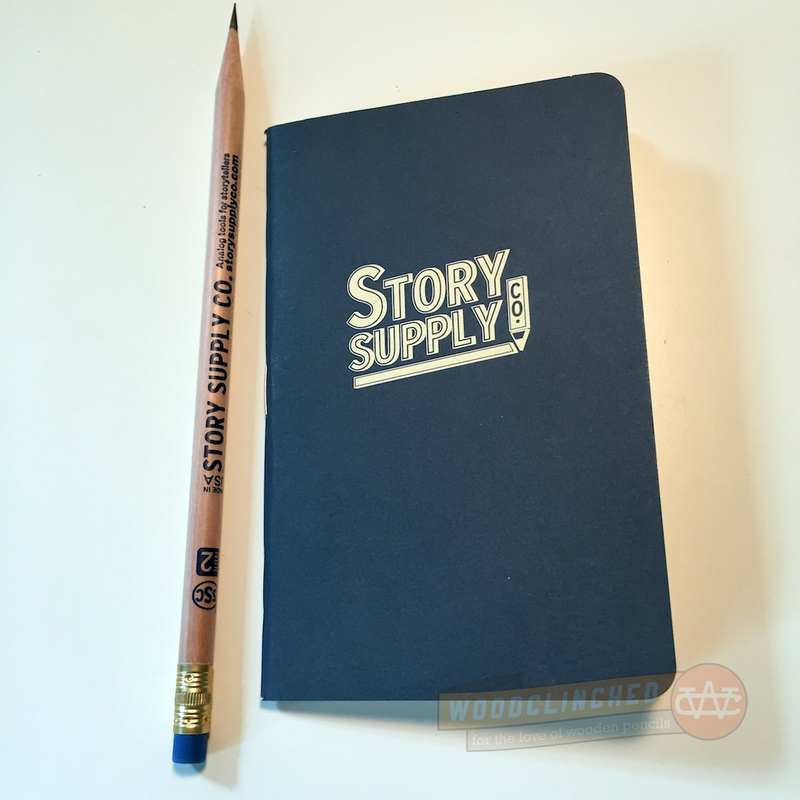 The Back Pocket notebook is available in a pack of three, also for $12.50 at JetPens. The Pocket Department has a couple other sizes that I’d love to try that isn’t unfortunately available at JetPens — There’s The Messenger Bag, sized at 8.5” x 5.5”, and The Backpack, at 6” x 6”. They’re not so much formatted for a pocket on a piece of clothing than a pocket for a bag, so they’re much bigger. 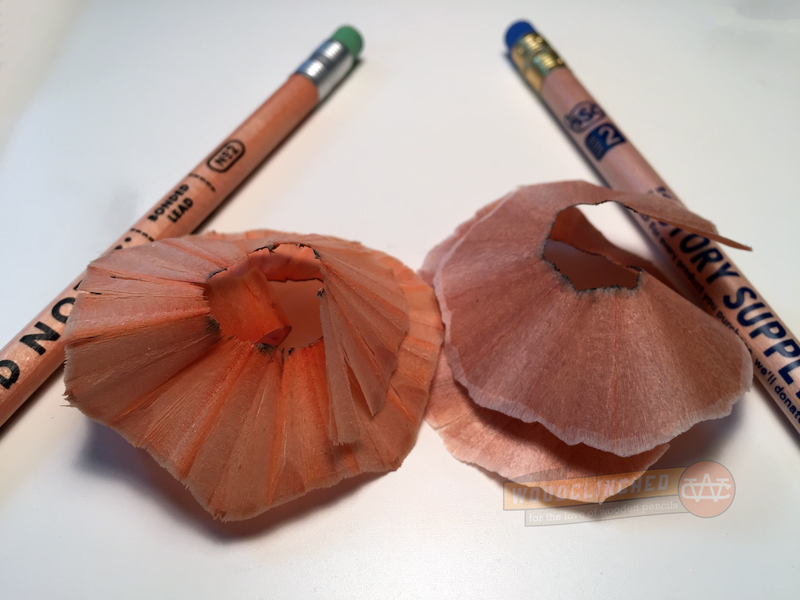 I found a website at PocketDept.com that seems to tease out different colors being available, like grey, white and a natural brown paper sack color, but the site is either broken or not entirely built yet. All things considered, this is a fun little notebook series. I haven’t used it enough to tell how durable they are, but once I figure that out, I’ll definitely report back. Find out more information about Pocket Department notebooks at JetPens.com. But I have started looking forward to it, as I might with a new Apple announcement event or the release of a new episode of Adventure Time. 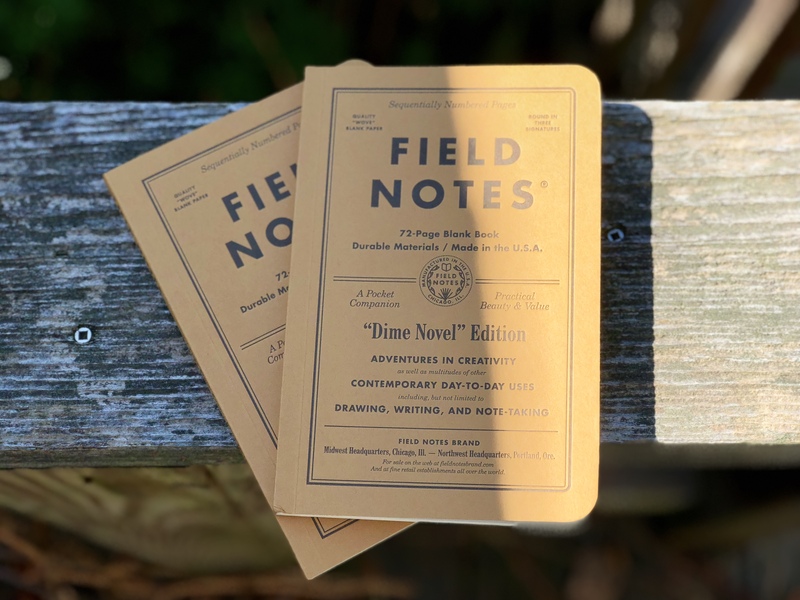 Just last night, in fact, I had a dream that the new Field Notes edition was edible — that its cover and pages were made of a paper-thin graham cracker-like cookie. That’d pretty fantastic, but they definitely wouldn’t last very long. And I bet the graphite markings I’d make all over it would not be tasty. The Arts & Sciences edition! While this doesn’t set me on fire, I think it’s a good, solid edition. I can definitely find use for the larger size and the grid paper. 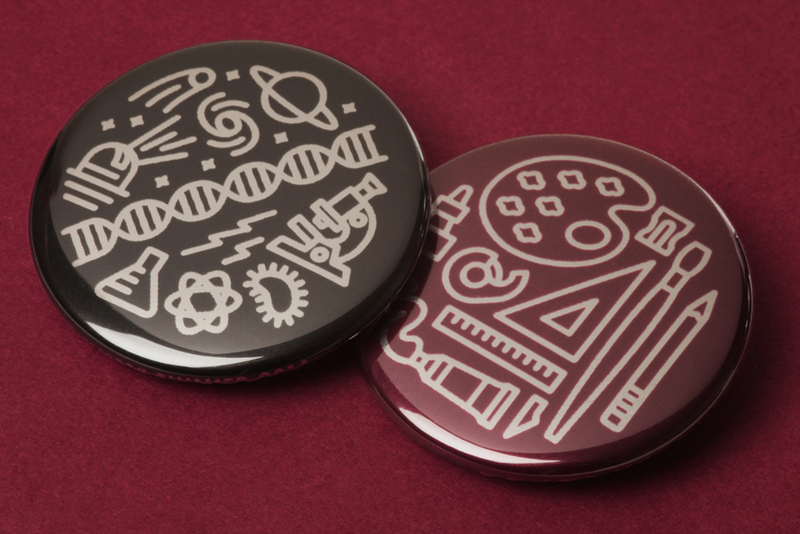 Also, I love these buttons! 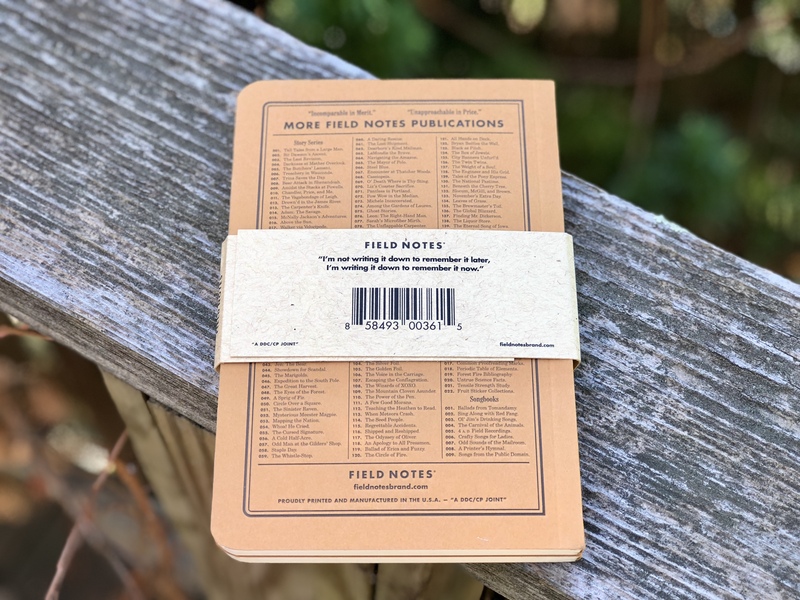 They’re selling for $9.95 for the two notebooks over at FieldNotesBrand.com. 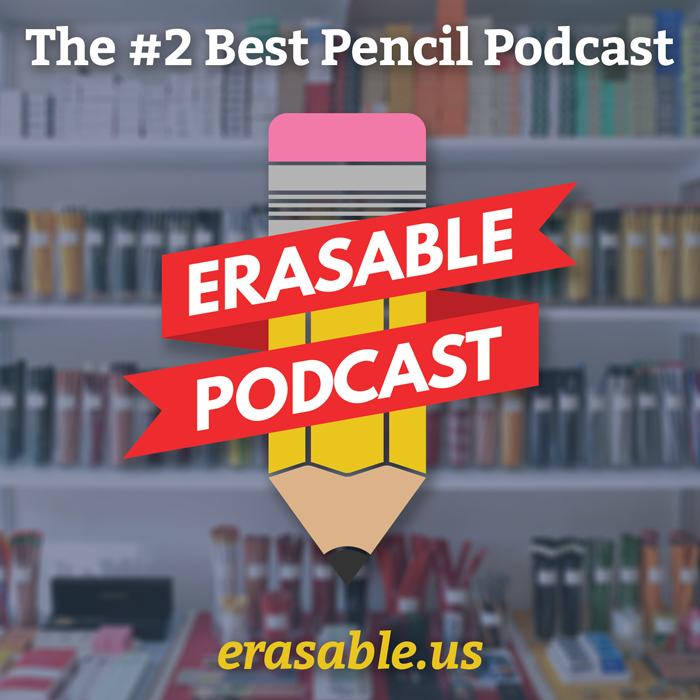 And, of course, you can get a subscription for about $100 a year, which includes two packs of each quarterly edition, and some other goodies. 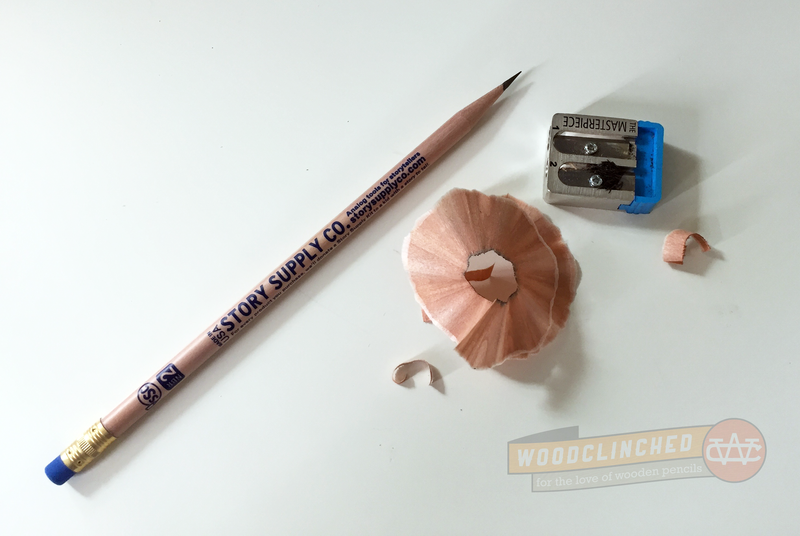 Shout-out to Johnny from Pencil Revolution for correctly surmising the edition from the teaser videos over in the Field Nuts Facebook group! You, sir, are a visionary.